Unitor Gamazyme? 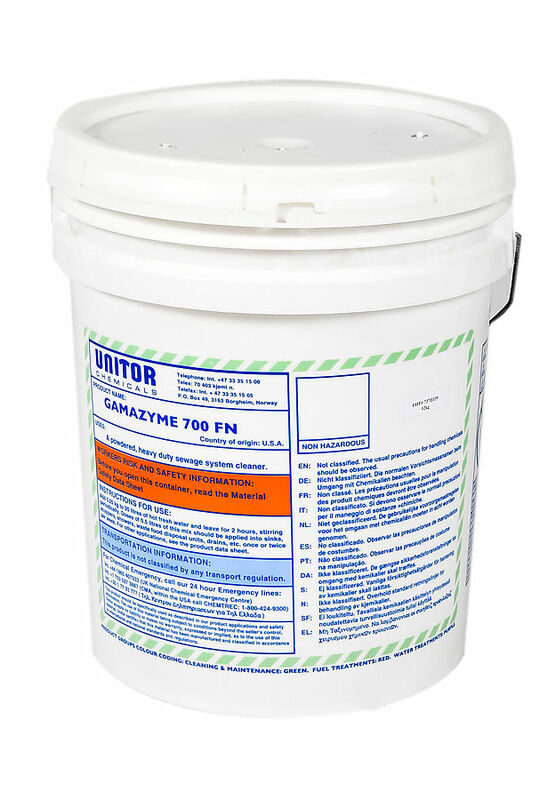 700FN is a concentrated biologically active powder formulation containing a blend of patented bacterial strains, specifically developed to deal with sewage wastes. 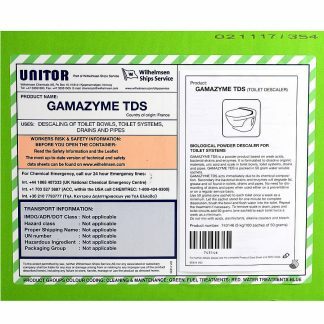 Unitor Gamazyme 700FN is formulated to degrade excess residual waste products in shipboard sanitation pipe work systems, holding tanks and marine sewage treatment plants. 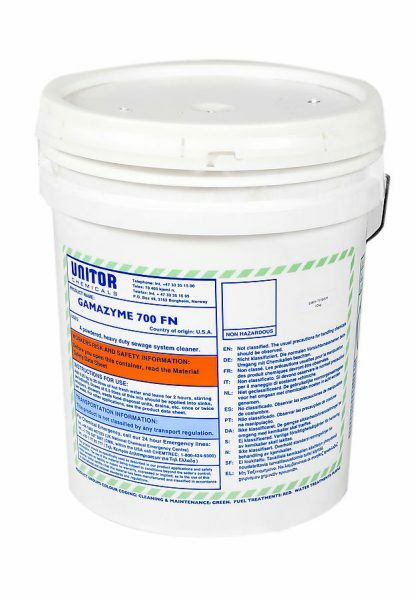 The specialised strains in Unitor Gamazyme 700FN will digest grease, fats, sewage, starch and other organic compounds. The degradation of paper, protein and waste product residuals is greatly increased, and the odours that these produce, are reduced. 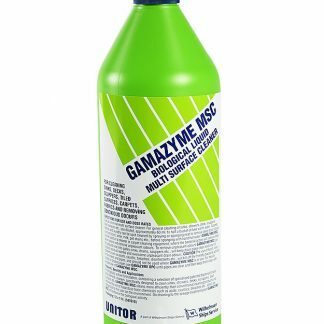 The bacteria in Unitor Gamazyme 700FN will colonise the waste organic material which lines the pipework/tank system and degrade the waste until the system is clean. The biological activity in the marine sewage treatment plant is greatly increased, so the plant can thus handle more waste. The obnoxious smells in toilet areas and scuppers, normally associated with overloaded or blocked systems, are reduced. 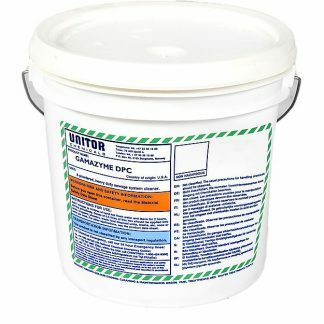 Features: Powder formulation for easy use, Biodegradable, Reactivates biological activity in systems which have been rendered inactive by overloading, washout or use of aggressive cleaning products, Eliminates the need for hazardous chemicals, Cost-effective, saves time, money and manpower. Benefits: Eliminates the odours associated with sanitary systems which are overloaded or blocked, Cleans sewage holding tanks without the need for manual entry, Clears pipes and systems blocked by organic waste matter, Clears organic materials in slow draining pipes and scuppers, Restarts septic sewage treatment plant, Keeps complete sanitary systems in optimum operational condition.